ello. My name is Jerry Alatalo, an independent writer from Michigan in the United States. 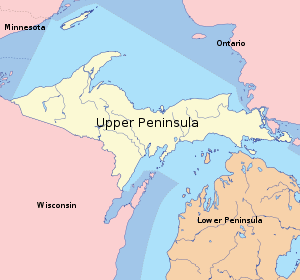 I live near Lake Michigan in the Upper Peninsula (UP) of Michigan, where the folks are affectionately called “Yoopers”. We attended Northern Michigan University from 1984-88 with a focus on interdisciplinary studies, and worked in the western suburbs of Chicago, Illinois (Wheaton) for twenty-two years (1988-2011) before taking a swing at writing. My original writings on all posts at this blog are free to share or reproduce in any way without copyright concerns. A People’s History of the United States by Howard Zinn. In this powerful classic book, Howard Zinn gave us the real history of America. What Is Art? by Leo Tolstoy. In Leo Tolstoy’s nonfiction powerhouse, considered by Mahatma Gandhi as Tolstoy’s masterpiece, he told us that art must convey the highest current spiritual thought on Earth, and that true art results in a literal improvement of the human condition. All Men Are Brothers by Mahatma Gandhi. Mahatma Gandhi always carried a copy of the Bhagavad Gita with him. He considered it his personal Bible. We learn why when reading this classic. Rolling Thunder by Doug Boyd. Amazing biography of the Native American medicine man who was known as Rolling Thunder. The Media Monopoly by Ben Bagdikian. Ben Bagdikian’s revealing and ground-breaking book examined concentration of power in the media industry. The Third Millennium by Ken Carey. 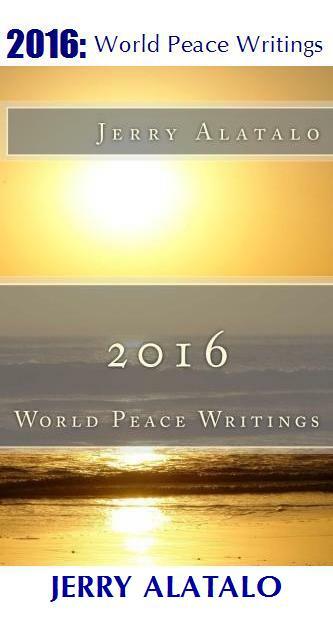 Ken Carey described in spiritual language what humanity would experience in 2013, and beyond. A Course in Miracles by Helen Schucman. A profound spiritual text which has touched and improved the lives of millions. Confessions of an Economic Hitman by John Perkins. John Perkins dealt with democratically elected leaders of countries who died while in office. Perkins wrote the book to do what he could to help build a better world for his children and grandchildren. Black Elk Speaks by John G. Neihardt. The profound biography of Sioux Medicine Man and Holy Man Black Elk. The Bhagavad-Gita. One of the great religious classics of world literature. It inspired Thomas Merton, Henry David Thoreau, Mahatma Gandhi and T. S. Eliot. Any Far Side Book by Gary Larson. The most humorous cartoonist ever. Period. Perhaps many of you have experienced the superbly funny Gary Larson. www.filmsforaction.org / A community-powered site where hundreds of social change documentaries are available for viewing. You will find a very concentrated amount of valuable information at this website. You can also post your documentary for the world to see. www.veteransforpeace.org / Veterans For Peace is a global, non-profit, educational and humanitarian organization. Members include veterans and civilians from around the Earth dedicated to increasing public awareness of the true costs of war. Here you will learn the truth from those who have experienced war. www.johnperkins.org / Website of John Perkins, author of ‘Confessions Of An Economic Hitman’. How to build a more just, sustainable world. www.icij.org / The International Consortium of Investigative Journalists with reporters all over the Earth. This organization broke the silence on the massive issue of tax avoidance and the havens used by corporations and wealthy individuals to hide income and wealth. There is a lot of good information at this site for those interested in truth. www.sacred-texts.org / This website has the primary texts of all the world’s great religions and traditions. It is a one-stop site for those interested in the study of spirituality and the search for wisdom. www.nderf.org / The Near Death Experience Research Foundation has thousands of personal accounts to read. The phenomena of NDE is utterly profound and fascinating, shown by the several best-selling books on the subject in recent years. www.jfsr.co.uk / This is a radio station out of England that plays jazz, funk and soul music. Please feel free to add any powerful books or websites that you’ve experienced in the comments below. Share your found treasures with all who pass this way. Stephen Biko wrote a book with the title “I Write What I Want”. The idea of being a freethinker is very appealing because it describes one who is open to new ideas and all-inclusive. Please know I do not consider myself any type of “guru”, geopolitical expert, or spiritual teacher. I am only a humble fellow human being who happens to have become increasingly interested interested in geopolitics and spirituality, against the grain when talking about the long-time social warning to never publicly discuss politics and religion. Many people are searching for answers to our large questions about life, and we hope to see if we can address them positively here. It is a large – some might say Utopian – vision, there is nothing lost in the effort, and it is possible we may in the process do a lot of good. Good conversations become even more valuable when people ask each other transparent questions. Feel free to ask away. Your question could be one that I will not be able to answer. Now, here we see the beauty of blogging … but someone else likely will. We will respond to each of your comments and questions and do our best to help make our conversations ones which will create more good will, peace and brotherhood on this Earth. The number of men and women who are aware of geopolitical realities and spirituality on Earth is growing every day. We would like to share ideas with men and women from all nations and regions of the world to accelerate this awareness, while simultaneously emphasizing possible solutions emphasizing peace, love and oneness. Hi Jerry (or should I say yooper?). Nice collection of writings! Thanks for the compliment. How do you deal with war, genetic engineering, greed etc.? Nice to meet you, James. I’ve not done a close study of genetic engineering, but my impression here is that, as is sometimes the case, science gets ahead of the human ability to handle it with wisdom; insufficient evolution for the science acquired and experimented with. So this is very concerning. That said, we live in a world of information overload and most of us are served up more issues than it is our personal dharma to handle. So we have to focus mainly on what ever our mission is whether that’s activism, writing, art, etc. I have another piece which I think is related to your questions that I’ve not yet posed, but will try to do so soon. What is your thought and experience along this line? Perhaps the words of Tolstoy would help. “Freethinkers are those who are willing to use their minds without prejudice and without fearing to understand things that clash with their own customs, privileges, or beliefs. This state of mind is not common, but is essential for right thinking; where it is absent, discussion is apt to become worse than useless.” My thought at this point is that the answer to all human problems is unconditional love where we understand that there is no “us” and “them” but only “us”. I agree with you on the information overload. It seems that people are finding the information that is useful, not as Tolstoy said, “useless”. The example would be the decrease of people watching the mainstream media. We find useful discussions all over the internet taking place between millions of men and women all around the Earth. This gives us much reason for hope and optimism in the days ahead. When people have no fear of expressing their true feelings the potential benefits of good talks are unlimited. Just as a friend mentioned about sitting in his backyard with his son, and looking at the night sky, said “there’s no roof!” Human potential has no ceiling when love is present. Yes, unconditional love is foundational, and also clear thought within the aura of that love. And yes, both the traditional media and the new net present real challenges to us. The information overload requires extraordinary effort where we have to learn to keenly discriminate between the gold, fools gold–and far more difficult–the fusions of them. Your shared image about “no roof” reminded me about my current exchange with Erik in which I’m questioning a key aspect of the way he formulates his theory of everything. These are the great adventures which millions of men and women around the Earth are sharing. I see we like some of the same writers and texts. Salve! Thanks for visiting my blog. You are welcome. I need all the writing tips and help I can get! Now, I have to ask you for an explanation of ‘Salve!’. The dictionary defines salve as ‘ointment for sores’. It would be interesting to know what you were feeling when you typed it. Outstanding page and content! Many of the icons/books you mentioned are my personal favorites. Ah, the connectivity of our Universe/Multiverse is exciting and awe-inspiring, is it not? I agree that connectivity is awesome. The potential now available for men and women around the world to communicate in a good way takes one’s breath away. That potential is being manifested now, so there is much reason for hope and optimism. …the creative thinker finds powerful assistance, a deeper communion of minds. This is that lofty community whose life and love is synchronistic with spiritual law. Such a meeting of minds is a lever of real power, a door into greater life. Well said. We should be thankful for the increase in the number of men and women around the Earth who are creative thinkers. Hopefully you and I will meet many of these brothers and sisters. We can look forward to many great conversations. Thank you for sharing. Ken Carey has been somewhat out of the spotlight. His books are very interesting and it would be a pleasant surprise if he came out with a new book. Is it a “coincidence” that you shared this video? Many people will now see this and be able to experience Ken Carey’s “The Third Millennium.” How cool is that?! You are so right. I have had a few small encounters with Light in my short time on Earth and they were powerful and moving and just as you said, “indescribable”. It’s sort of fun to savor the experience and know that even when I try to tell my stories something is lost and only I can find it when I need it. It's a pleasure getting to know you. Thank you for sharing your wisdom. I'm especially excited to learn more about Bear Heart. I'm so thankful for your blog! When people share their thoughts in an honest and caring way it is not possible but for there to be good consequences and results. When we can alleviate another’s pain and loneliness in this life we are doing the right thing. As we share love with others in a way that confirms the existence of something that we can’t see, we are on the “right track” as you said. All people can look forward with hope and optimism. You are a giant my friend. It is certainly a fact that you have the ability to raise the bar. I do not wish to inflate your already destroyed ego, but you remind me of a present day Tolstoy or Rumi. You make more sense to me than many who have been on interview shows. Credit should be given when it is due and I give you much credit for the effort you have put in. Thank you for your willingness to journey into the unknown and search for truth. You are a good and generous man James. Your thoughtful words raise the level of discussion to its high potential and it is appreciated. I look forward to seeing where this discussion goes from here. Thanks again, James. I hope you are doing well. Do you have a few blogs to recommend? Jerry, your supernaturally generous and too kind in your appreciation but its greatly encouraging anyway! I tend to think that, In concert with my muses, I may occasionally flicker to life and the rest of the time you can ignore me without loss of much benefit. (paraphrased from a piece I’ve not yet posted called “Dead Person Musings” 🙂 But I’ll accept your encouragement on behalf of the great matrix of Friends in which we live. It really is difficult to say, is not, to where we begin and the community of kindred spirits begin and ends? This also reminds me of a train of thoughts on “quotation” which I should post soon. About bogs, I’ve come across some really fine ones lately; I’ll reply about those a little later. And what are the best blogs you’ve found? Being 6 weeks old here I find something of interest at all the blogs. The most interesting aspect is the common feeling at all of them where the writers are trying to make things better in this world. It is kind of like a football team with thousands of teammates without an opponent. Everybody is pulling for everyone else. The various writers, and the topics that are touched on, that we come across in the WordPress reader are fascinating. It would be fair to say that every single one of the blogs are the best. They are all the best because the writers are trying to be the best they can be. To categorize them as good, better, best would be analogous to judging one human being as of more worth than another. We may yet discover one or two that are “must read” or “not to be missed.” The blogs that delve into eastern traditions, the Bhagavad Gita, the Upanishads, Swamis, etc. seem to have the strongest attraction. There was a fellow in Wheaton, Illinois who ran a shoe repair/leather working shop and he was a one man operation. A very nice fellow who, because he worked by himself, would not waste an opportunity to talk with his customers. He resoled a pair of shoes with Vibram, did a nice job, and only charged forty dollars. I feel like that fellow when I go on and on with comments. Maybe when we are alone much of the time we have time to think about things a little bit more. Maybe this would be a good one. “The Shoemaker”. I use “essentially better” above because I think it’s good to also look, with care, at things through more relativistic eyes. This relates to time, to form, to limitation, to evolution. There is an infinity of potential in everyone, but in time–where relativity rules–only some portion of that relativity is currently manifested. In this sense, what people are manifesting through their lives and through their blogs is equal to varying degrees of good, and in some cases I’d not shrink from saying that blog X is a bad blog–there are blogs that degrade women, engender hatred, racism, etc. These are not where you and i move, but they are out there; I ignore them. There are also blogs which show both mental illness and those which show illuminated sanity with most falling somewhere in between. But I’m think what you are talking about are blogs that are on the side of light and are expressing it in some degree of light. Perhaps Martin Luther King said it well, “I believe that unarmed truth and unconditional love will have the final say in reality.” So we do the best we can while speaking the truth, to the best of our understanding, and expressing unconditional love, once again to the best of our present understanding. Good thoughts, good words, and good actions. Hopefully in discussions we will help lift men and women up so that they will be more happy, more joyful and more hopeful. As far as making an effort to contribute in ways to end the degradation of women, hatred and racism etc. we are once again challenged to combine words which result in the greatest good for all people. It is a challenge and there is no easy way, there is no “easy button” that we can push, to meet it. There is certainly present in human consciousnesses a deep presence which, when realized, will transform persons and the world. The amazing thing about A Course In Miracles is how every single word seems to be important. This for me is what separates it, places it high above, the vast collection of human literature. The books simply accomplish the impossible. One is reminded of the “moving mountains” reference in the Bible. If you have come across any writings which contain such spiritual power, please make sure to let me know right away. Did you have the same feeling about ACIM regarding “every single word seems to be important”? I didn’t have the thought that every word was important but I did notice that it was clear, simple, and with a lot packed into few words. And I noticed how the overall teaching was in harmony with other sources that I’d come to respect over the years. There are so many fine sources I’ve come across in the last 40 years. The different ones that are most profound and powerful are so, in different ways. There a source that is most cosmic and impressive for its scope, detail, wisdom, and comprehensiveness; and there is another one or two that are most powerful in invoking the heart. There is one that is the most immediate and practical and is especially clear and simple. And there are many secondary, more limited, and focused sources that are good for specific needs, rather like medicines for particular needs. One wonders how, with so much in the way of spiritual wisdom and truth that has been compiled through human history, there has been so little of it given exposure on television. Perhaps the situation in other areas of the world is different than the U.S.A. In America we have “57 Channels and Nothing On” if the title of a song by Bruce Springsteen is correct. Perhaps that begins a whole new discussion on the mass media. You would think that replacing the “Ragtime Music Channel” or “The Knitting Channel” with a channel that explores the greatest spiritual ideas and writings through history would be a good thing for people. It would be on the favorites list for sure in many millions of households around the Earth. Such a channel would be the most popular one in the world. It would surely bring the people of the world together. Do you know any cable company executives?! There is very little wisdom and truth through TV in proportion to the whole chaos of offerings but I think there is a lot compared with 20 or 40 years ago. Teachings have especially filtered into fictional TV, and many points of light appear on PBS and sometimes the history and biography channels. But yes, there are some programs on PBS like “Frontline” and musical events that are very good. LinkTv has programming which gives viewers a look at events from around the world. Given that the airwaves are owned by the people laws could be written which force those who own the five dominant media corporations to take the steps to bring into existence channels for expression of thoughts regarding love, peace and the creation of a better world for all people. A good time for such legislation to be written and implemented would be now. I thought at first that the film must have been really, really silent!! Slim pickings from 2000. The scene in Groundhog’s Day where Bill Murray smashes the alarm clock was classic and I’m sure many people will remember that one. What Dreams May Come was very good. I haven’t seen Hereafter but the title alone is intriguing. Could you share a quick review? Thanks, James. Will check these out. Appreciate it. There are more in the 2000s especially if you relax the standard for inclusion in the list. There are some I’ve forgotten the names of also, for instance, there was one I saw on TV with a time travel/telepathy/reincarnation theme that was excellent. NDE has been done in documentary forms but not as a “blockbuster” type movie. Nearest thing in the direction would be the recent “Cloud Atlas” but in this case from the reincarnation perspective. The old movie I listed, “Dr Strange” does have fictional scenes that take place out-of-body. It has some discordant music and is weak in terms of modern standards because of its age, but has some very interesting features–some being service to humanity, struggle of light and darkness, and the concept of Master teachers. I think we will be pleasantly surprised. The unprecedented spiritual power inherent in personal accounts cannot but come to the consciousness of humanity. How are you my friend. Very interesting information, especially the imminence of scientific proof. Do you plan on an article? I have recently been in a discussion where a person has a view that NDEs have nothing to do with love and life, but represent ultimate temptation, are not manifestations of love, and are not from the benevolent source they might appear to be. I guess when we sign up we agree to all that comes along. Thank you for your words of praise and support, and thank you – fundamentally – for your belief in a better world — and that we are getting there! You’re most welcome, nice to meet you. It was such a surprise to see your comment that it took some time to organize a reply. I’ve become a fan of “The Debate” on Press TV and saw yesterday’s program with you and Mr. Korb. In passing Press TV should turn it into an hour-long program, many times the discussions seem to be just starting to get interesting then the show is over. Guests seem to never have enough time to get to possible solutions regarding the particular issue being discussed, so #1 an hour long program would allow more solutions to be discussed, then #2 Press TV, with an hour long format from the business aspect, could find themselves with one of the world’s most watched shows. Pardon me for the long reply but to be honest after more than a year of almost daily writing on this blog, reading thousands of others’ articles, and listening to thousands of talk shows, there is the sense that not enough is accomplished in comments sections or on air, in particular efforts to describe real causes of situations where differences of opinion have led to small to large negative consequences, describing possible scenarios as they relate to possible options, then arrive at mutually agreeable, fair solutions. Having said that, could you describe the historical and current causes of violence in the Middle East, and your ideal option and outcome? Does the violence in the ME boil down to differences between Nasser/Pan-Arabists and imperialists, namely a region-wide struggle over how profits from the sale of ME oil and natural gas resources become directed – to either multibillionaires or shared by the people? Finally, are there major consequences related to ME nations choosing banking institutions which prohibit the charging of interest and/or private ownership of the nation’s central bank, and not western privately owned central banks like the Federal Reserve, IMF, World Bank, and ECB? Simply, how large and how consequential an issue is banking in the ME? If you could share 2 or 3 (preferably recent) authors/books or other sources of information which most truthfully lay out the broad realities of the Middle East it would be appreciated, not only by me but any readers who come across this. So, thank you profoundly for all of your efforts Rania. Best wishes in your communicative work and collaborations to leave this world a better place for this and future generations. I would like to share some voluminous things here on War, Morality and Realization of Reality which is what the religions and sciences compete to reveal or rationally explain or oft times especially religion tries to vindicate. Following you on the advice of Jeff Nguyen. Look forward to sharing the journey toward peace in our lifetimes. Nice to meet you. Appreciate your optimism in using the words peace in our lifetimes. In contrast to those who say “not in our lifetimes”, the people who don’t believe in the possibility of peace on Earth will not act to accomplish that greatest goal. One senses a shift in consciousness which has resulted in an overall perception that war has become a thing of the past practiced only by people who have yet to evolve along with the majority of people. It’s obvious peace far surpasses war as an option, and there’s reason for hope in that more are accepting that truth every day. At times humor helps in creating good balance, especially for those who put themselves through the near-masochistic activity of reading articles and hearing interviews in an effort to find out what’s really going on on the planet. A Buddhist joke: the Dalai Lama was in New York and stopped for a hot dog, the vendor asked him how he’d like it, and the Dalai Lama answered, “make me one with everything”. 🙂 Sorry but couldn’t resist… Have read a moderate amount on Buddhism, including popular books by the Dalai Lama, but one he authored getting into the science of Buddhism had a mind-blowing effect. As far as spiritual traditions, one could label me “non-denominational” as the essential teachings of them all are honorable and good, making the same assertions using insignificant language variation due to geography. Hemingway said something like “there is no one truth, it is all true.” Thanks, again.